Hypnosis has been proven to aid those with chronic pain, drug dependency, and insomnia by creating deep relaxation using mind over matter. Sharon, 62, was left with severe pain after rupturing discs in her back. She admits to over using pain medication. During hypnosis the patient is given an image or suggestion to focus their minds on utilizing their subconscious to bring about change. Under hypnosis the brain releases endorphins and serotonin which is 200 times stronger than any pain relief you can get. Margaret is another convert to hypnosis after suffering chronic insomnia for decades. For many, hypnotherapy is a serious science with a deep-rooted history far away from the glaring lights of the media. Some believe that is holds the power over pain. Hypnosis is a very important tool for anyone with an addiction to have in their recovery-it is a healthy coping skill. Unlike typical conventional tools hypnosis is not addictive, does not require medication, is cost effective, long lasting and can be used to treat other issues a person may have such as insomnia, phobia(s), anger, stress, depression and improve self-confidence. There are no other successful treatments that can positively claim to not only aid in kicking negative habits but also build you up as a person enabling you to stay on the right path. 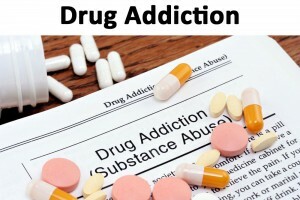 In a recent study it was shown that adding hypnotherapy sessions roughly doubled the chance of success for long-term recovery from addiction(s). Unfortunately, the NHS seldom covers the cost of sessions but for an effective and long-lasting treatment plan it is worth exploring what hypnotherapy and hypnosis can do for you. Most professional hypnotherapists offer a free consultation which is worth taking up even if you are merely curious. It is vital to note that you should continue to see your doctor on a regular basis and take any medications they prescribe. If you should come across a hypnotherapist that asks you to stop doing this then simply walk away because chances are they are not officially qualified and registered. -To check if your hypnotherapist is legitimate see the Hypnotherapy Council website for full listings. For more information please contact us here or fill in the form below.